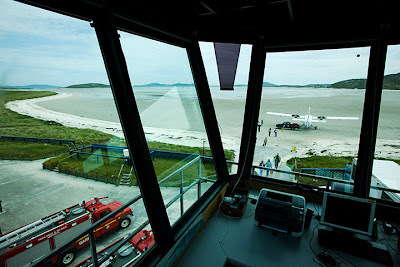 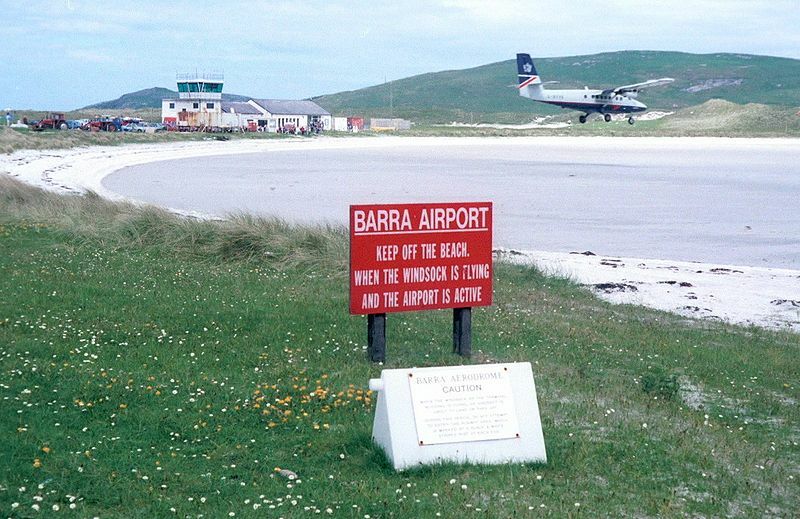 The Barra Airport in Scotland is unique, being the only one in the world where scheduled flights use Barra beach as Airport and water as its runway. 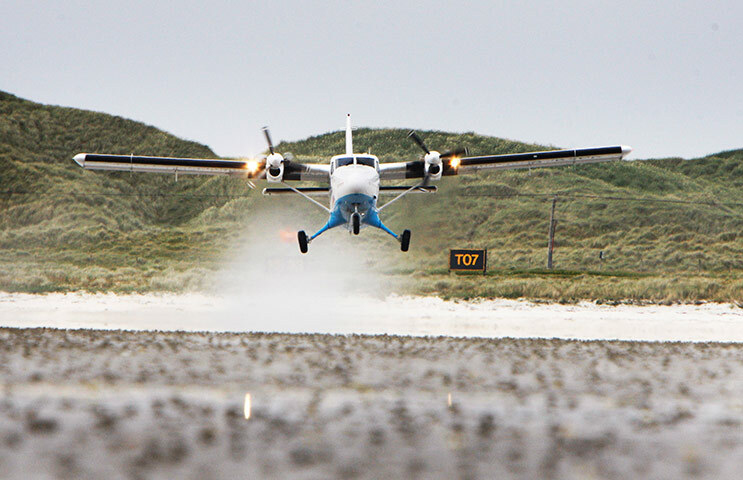 Aircrafts take off and land at low tide on the same beach where cockle-pickers gather shellfish. 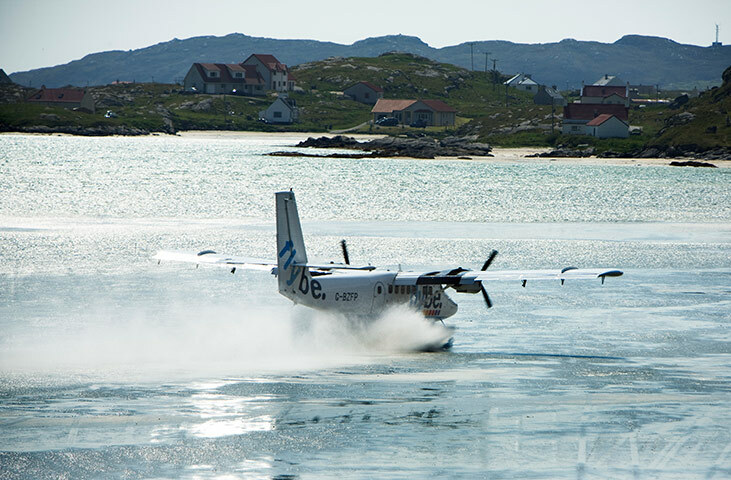 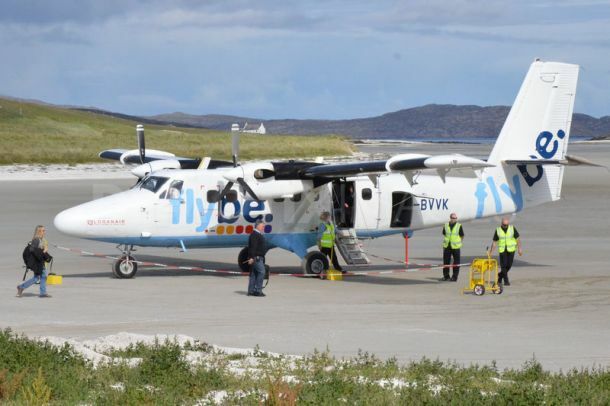 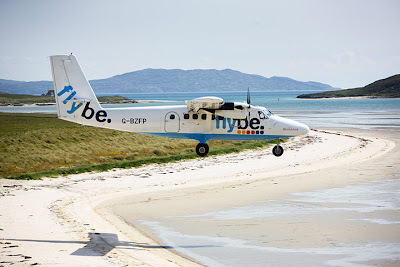 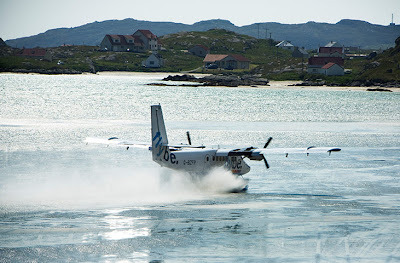 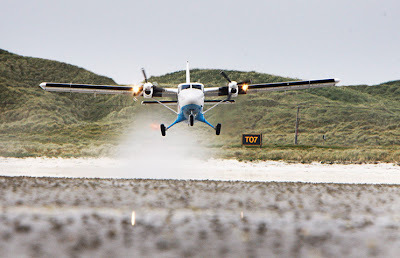 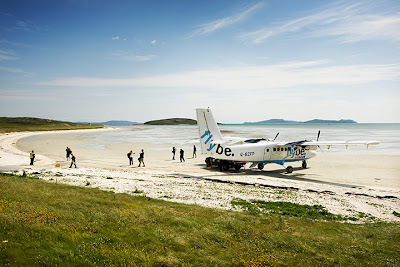 There are regular passenger flights from Glasgow to the island - one of the southern-most of the Outer Hebrides and onwards to the smaller island of Benbecula to the north. 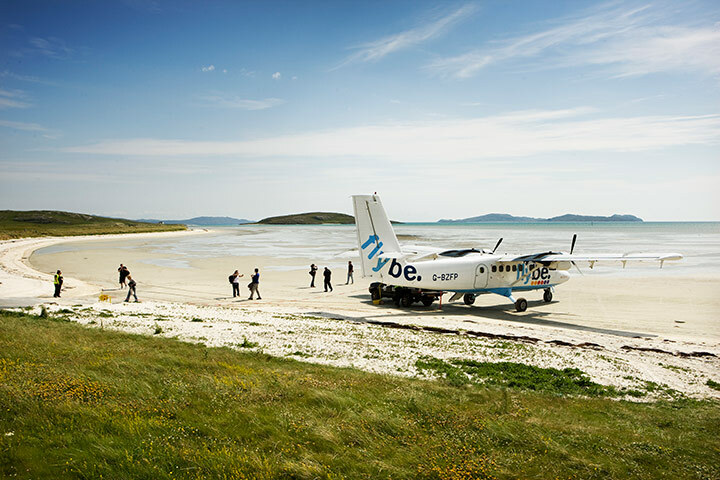 The airport is an important link for the island with a flying time of around one hour to Glasgow, compared to a five-hour ferry crossing to the west coast port of Oban, and a further three hours by road or rail to Scotland's central belt.